Boasting a beautiful coastline stretching 550 kilometres across both the Mediterranean and Atlantic ocean, it’s easy to see why Andalucia is one of the most popular regions in the whole of Spain. 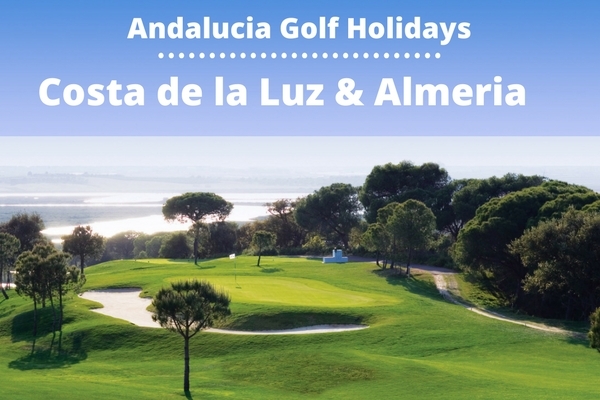 A golf holiday to Andalucia is one not to be missed, in every region you’ll find typical characteristics of Spain; fantastic weather, towns and cities full of history as well as breathtaking scenery including mountains where you can find the highest peak in southern Europe. However, two of the stand out regions are especially spectacular; Costa de la Luz and Almeria might be at opposite ends of the Andalucia coastline but they both boast fascinating culture and incredible golf courses. Costa de la Luz sits on the western part of the Andalucia coastline, stretching across the provinces of Cadiz and Huelva. With the Algarve close by, its influence on the ‘City of Light’ is there for all to see and has recently become a growing attraction for the golfing traveller. With 24 courses spread across the region, you can enjoy golf at some quieter, yet incredibly maintained courses if you wish to get away from the busier crowds of the neighbouring Algarve. El Rompido is one of the region’s most stunning courses, set in a natural environment overlooking the Atlantic backdrop. The North and South courses both offer championship tests, with the South built to USPGA specification. The modern design by Alvaro Arana will keep you on your toes with marshland hazards adding to the always intimidating coffin bunker! 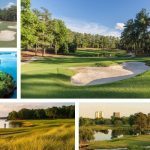 Divided into three nine-hole loops commonly known as the Yellow, Green and Blue courses, Isantlilla offers versatility to golfers of all abilities. 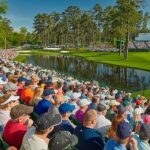 So much so that despite being extremely popular amongst amateur golfers, it has also hosted many Challenge Tour events and even the Turespena Masters in 1995. With some undulating fairways, narrow approaches and gentle doglegging, it’s important to keep the ball straight. Designed by the legendary Jack Nicklaus, MonteCastillo is possibly the most internationally renowned course in Andalucia. The course receives over 3000 hours of sunlight each year and has been previous of the European Tour’s Volvo Masters. A tough par-72 is closed by its signature hole; the 18th offers panoramic views of the resort with an elevated tee hitting down towards a dangerous water hazard. Costa de la Luz offers fantastic golf, sunshine in abundance and breathtaking views of the coastline. Almeria is located in eastern Andalucia and has many similarities to the famous Costa del Sol, including the outstanding climate, unique atmosphere and beautiful coasts. While much quieter than other regions, Almeria still brings in visitors from around the world looking to enjoy the serene fishing villages, bustling nightlife of Roquetas de Mar as well as the stunning natural cliffs. However it’s the golf that acts as one of the main attractions with 10 peaceful and picturesque course available to play. Valle del Este, designed by Jose Canales is a newly designed course with classic features throughout the 18 holes. Wide yet undulating fairways lead up to large yet perfectly maintained greens and raised tee boxes allow for some great views of the distant ocean. Par 12 is considered to be the signature hole with your tee shot playing across the now-dry River Nuno. For this new resort which stretches across 108 acres of Almeria’s desert, the accommodation options are also extensive. With 142 rooms in total, guests can also be presented with a meal at La Estancia, Almeria’s most famous steak restaurant. The championship course at Desert Springs stays true to its name with typical desert influences like cactus, rock and dry-river beds. 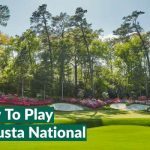 The course’s landscape naturally brings about unique challenges and hazards but is extremely enjoyable to play for all handicaps despite being built to USPGA specification. The resort once again sets itself apart from others in the region with its 5* country villas and colonial townhouses. The authentic accommodation comes with roof terraces to enjoy the beautiful sunset and a nearby DaySpa. Hotel Golf Almerimar is a luxury 5* resort which truly has it all. Boasting excellent accommodation, delicious dining options and various top of the range facilities it’s not hard to see why it’s established as one of the finest resorts in the region since its build in 2012. The course, designed by the legendary Gary Player, allows golfers to experience some breathtaking holes, including the first where you drive over water with the whole resort in front of you. Costa de Almeria is host to several amazing golf resorts in view of the stunning coastline and surrounding mountains.